Corporate success comes with obligations. That is what the Meyer family has always believed. It is not only passionate about the well-being of its customers and employees, but also about sharing responsibility for society and the environment. “We are convinced that the world needs trailblazers. We are committed to supporting great minds: People who achieve excellence in research, education, the public health sector and social work”. This was the driving force behind the decision to establish two foundations in August of 2014, the Thomas Meyer Foundation and the Thomas Meyer Family Foundation. Two legally independent yet interconnected foundations were thus founded. 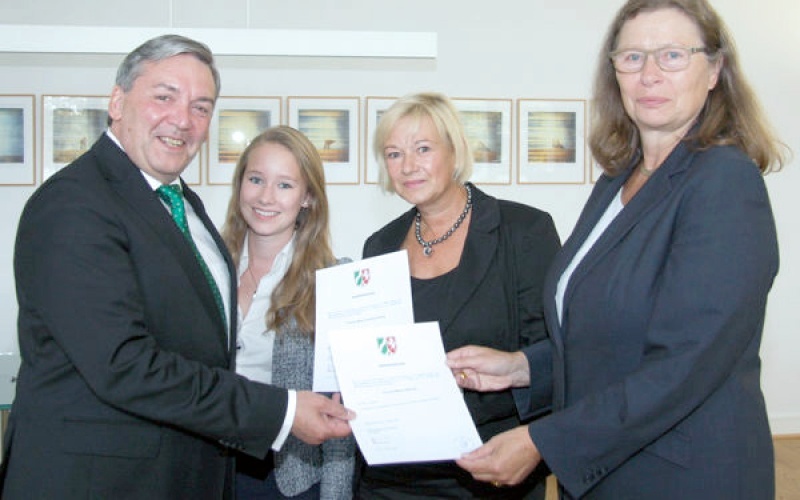 By establishing the charitable foundations Thomas Meyer-Stiftung and Thomas Meyer Familienstiftung and also allocating part of his assets to social work, the founder Thomas Meyer, president of the Chamber of Industry and Commerce Wuppertal-Solingen-Remscheid, has demonstrated considerable social commitment. On the other hand, the Thomas Meyer Family Foundation serves to provide capital for administration, maintenance and support of the Thomas Meyer Beteiligungs-GmbH, and to safeguard the founder's and his family's assets. Moreover, it performs organizational tasks for the charitable foundation. These foundations see themselves as a driving force behind, and as partners for progress. They support both young talent and top researchers, social entrepreneurship and social commitment, as one should expect from trailblazers.